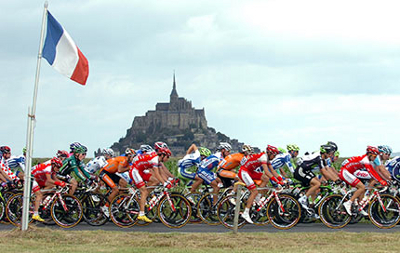 Century Cycles Blog: Le Tour de France starts Tomorrow! For the entire month of July, worldwide attention will be focused on the most famous and exciting bicycle race on the planet, Le Tour de France. This year's contest, the 99th edition, starts with 198 of the fastest cyclists on the planet storming the roads of the opening prologue in Belgium. To make it to the finish in Paris 21 days later, they will need an extraordinary amount of determination, perseverance and luck. You'll need the same to make it to the finish line of your own personal cycling tour, but a pro-level bicycle wouldn't hurt, either. The Rabobank professional cycling team, sponsored by Giant Bicycles, will be riding the Giant TCR Advanced SL0, with Giant's top-of-the line Advanced SL carbon fiber frame and fork. You can ride the same technology, but with a more relaxed geometry best for recreational riding and amateur racing, long-distance endurance events, and charity tours like the Bike MS Pedal to the Point. We've got the Giant Defy Advanced SL0 in stock in our Rocky River store. 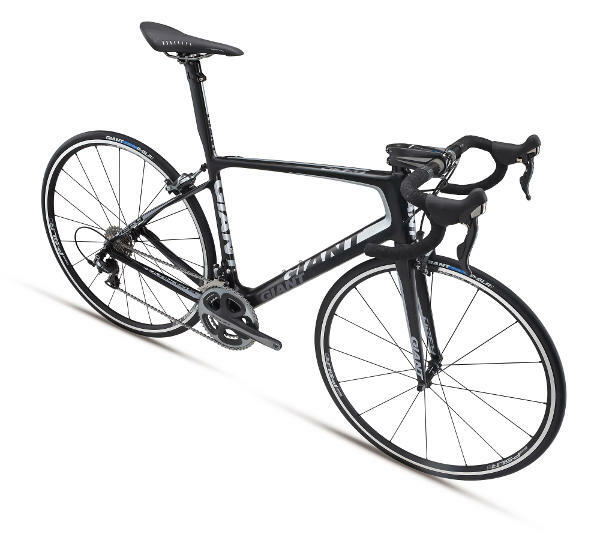 The bike features a complete Shimano Dura-Ace 20-speed drive train, and Giant P-SLR1 wheel system.